In A Nightmare on Elm Street, the disfigured killer Freddy Krueger is back to haunt suburban teenagers in their dreams. Freddy Krueger returns in New Line Cinema’s A Nightmare on Elm Street, a contemporary re-imagining of the horror classic. In the film, a group of suburban teenagers share one common bond: they are all being stalked by Freddy Krueger, a horribly disfigured killer who hunts them in their dreams. As long as they stay awake, they can protect one another...but when they sleep, there is no escape. Donning Freddy’s trademark fedora, red-and-green striped sweater, and four-bladed gloves is Academy Award® nominee Jackie Earle Haley (Little Children, Watchmen). The film is directed by award-winning music video and commercial director Samuel Bayer (Nirvana’s "Smells Like Teen Spirit," Green Day’s "Boulevard of Broken Dreams"), marking his feature film debut. 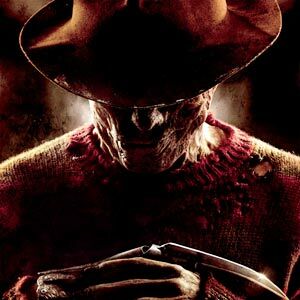 The teens whose dreams are terrorized by Freddy Krueger are played by an ensemble of young actors, including Kyle Gallner (The Haunting in Connecticut), Katie Cassidy (Taken, TV’s Supernatural), Rooney Mara (Urban Legend: Bloody Mary), Thomas Dekker (Terminator: The Sarah Connor Chronicles), and Kellan Lutz (Twilight). The supporting cast also includes veteran character actor Clancy Brown (Highlander) and Connie Britton (Friday Night Lights). Samuel Bayer is directing A Nightmare on Elm Street from a screenplay by Wesley Strick (Cape Fear, Wolf) and Eric Heisserer. The film is produced by Platinum Dunes’ Michael Bay, Andrew Form and Brad Fuller, whose company has enjoyed success with a number of re-imagined horror franchises, including Friday the 13th, The Texas Chainsaw Massacre, and The Amityville Horror. The executive producers are Bob Shaye, Michael Lynne, and Mike Drake. The co-producer is John Rickard. Opening soon across the Philippines, A Nightmare on Elm Street, is presented by Warner Bros. Pictures in association with New Line Cinema.